Find out where you can buy and adult meal and get one free for your child. It's not always economical to take the whole family out to a restaurant if you're trying to stick to a budget. 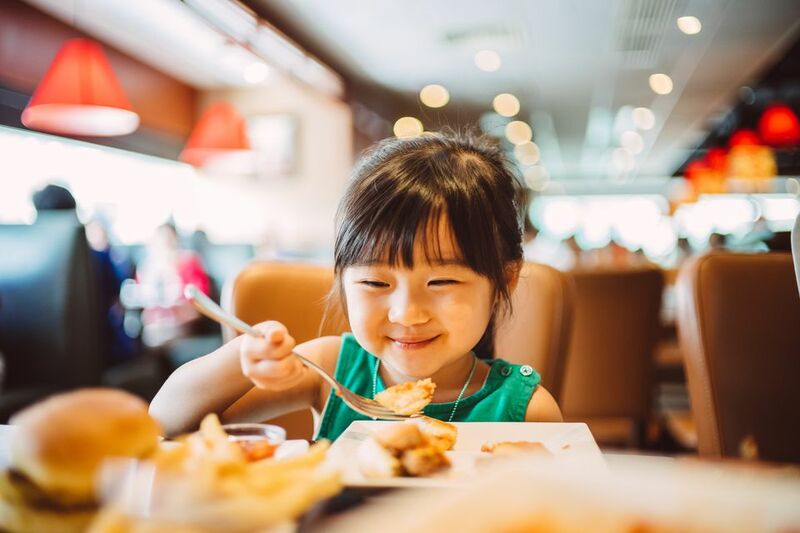 But luckily, there are a number of eateries on Long Island, New York where you can buy a meal for an adult and get a meal for your child for free. Note: the following information was correct as of this writing, but always call first to make sure that these offers still stand. And you might want to check out free things to do with your kids on Long Island to see where you can go for some cost-free fun after you score that free meal. And let's not forget mom and dad: learn about things that are free on your birthday on Long Island to see some great deals for your own birthday. And lastly, you can read about how to get dining discounts and coupons on Long Island to find out about other great discounts at local restaurants. To find the Denny's nearest you, please visit the location page of their website. At this Japanese seafood buffet, children 12 years of age or younger, 3 feet and under may eat for free. For those 4 feet and under, it's 1/4 of the adult price, and for children 5 feet and under, it's half the adult price. For current adult prices, please see their website or call (516) 294-9541. Moe's Southwest Grill features Kids Eat Free nights every Tuesday from 5 to 9 p.m., with the purchase of an adult entree of $5.99 or more. This offer applies to children 12 years of age and under. Every Sunday between 4 and 9 p.m., one child under nine years old, for every adult, can eat free. This offer cannot be combined with any others. The menu includes choices of grilled chicken and mash potatoes, grilled cheese and French fries, macaroni and cheese, pasta wheels with marinara sauce, sliders and fries, or chicken fingers and French fries. At Runyon's kids ages 10 and under eat free every day from 4 p.m. to 7 p.m. You'll receive one FREE kid's meal for each full-priced adult dinner entree that you order (at a minimum of $13.95.) Please note that this offer cannot be combined with any other or with coupons, and this promotion is not valid on any holidays. Although you'll have to pay for your kids most of the time at Ben's Deli, they do offer an occasional kids-eat-free promotion, e.g. on Mother's Day. Go to their site and click on Current Promotions to see what's current. Ben's of Carle Place, 59 Old Country Road, Carle Place, NY, (516) 742-3354. Ben's of Greenvale: 140 Wheatley Plaza, Greenvale, NY, (516) 621-3340. Ben's of Woodbury, 7971 Jericho Turnpike, Woodbury, NY, (516) 496-4354.